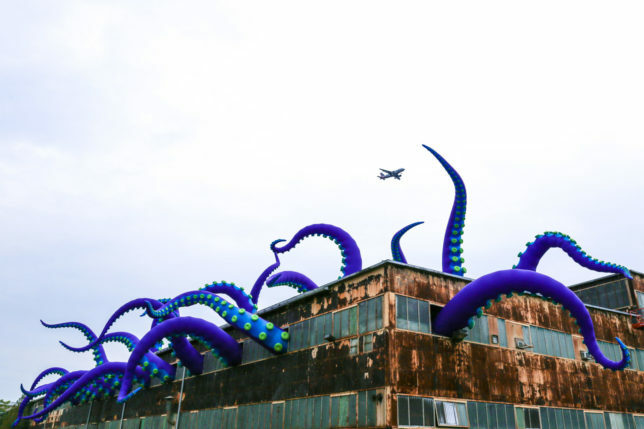 Any horror fan knows hinting at a larger evil with teaser visuals is a classic trick, like letting viewers imagine, for instance, what kind of hideous invader might be putting feelers out the window of this old warehouse in Philadelphia’s Navy Yard. 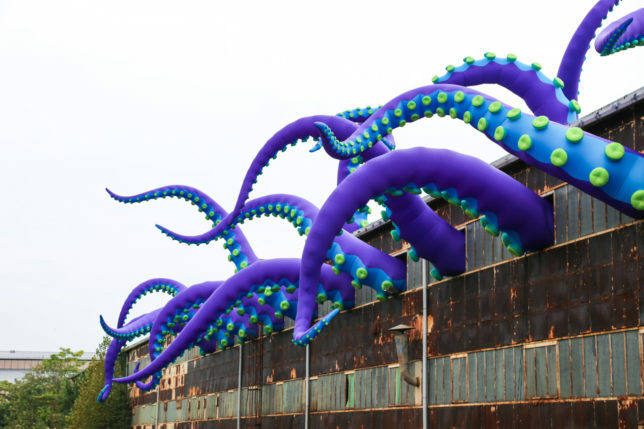 Titled simply Sea Monsters HERE, the inflatable installation was created by artists Filthy Luker and Pedro Estrellas in partnership with Group X, an anonymous collective of local artists and curators. 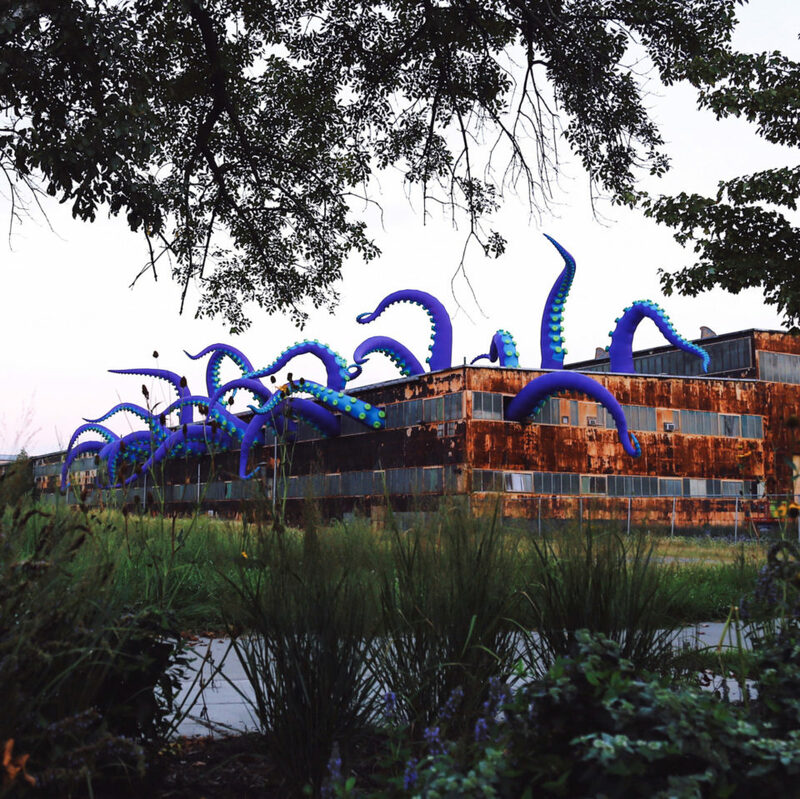 The arching purple limbs span up to 40 feet and feature blue surfaces with green suckers on the bottom to add some additional nightmare fuel. 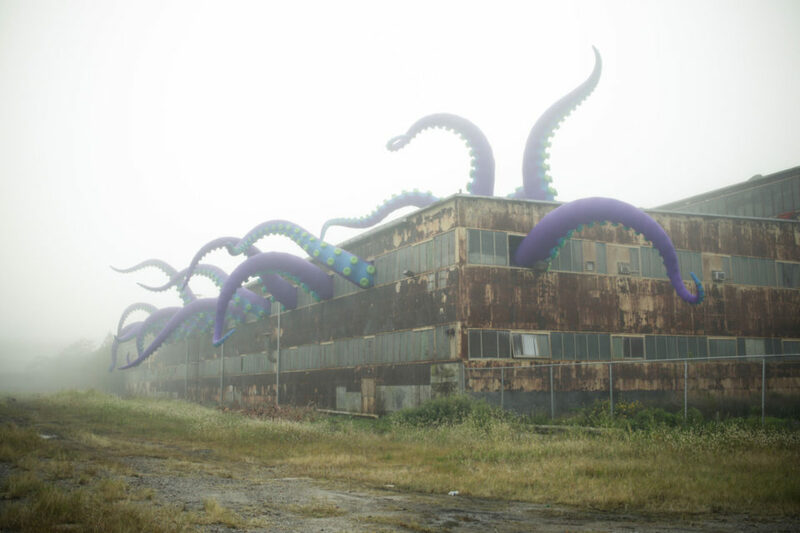 Readers (or watchers) of Stephen King’s The Mist may find the foggy images particularly compelling. 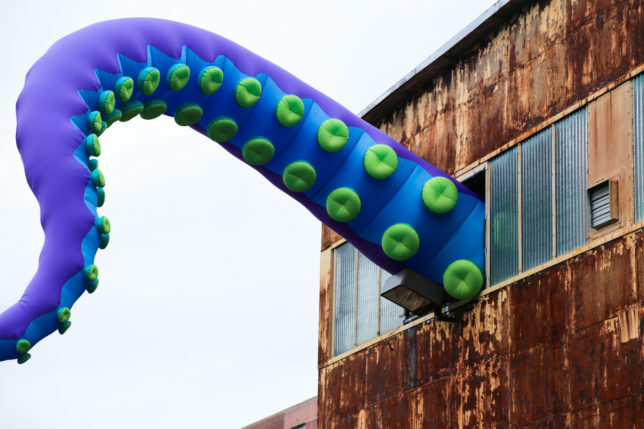 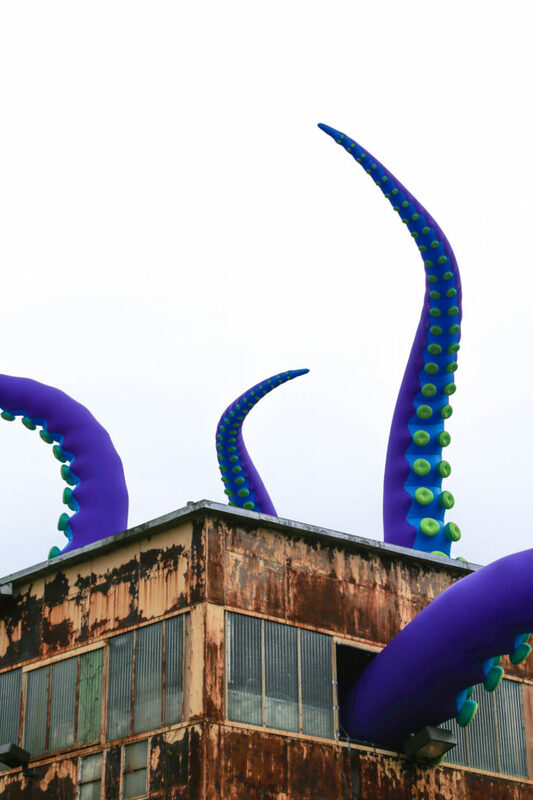 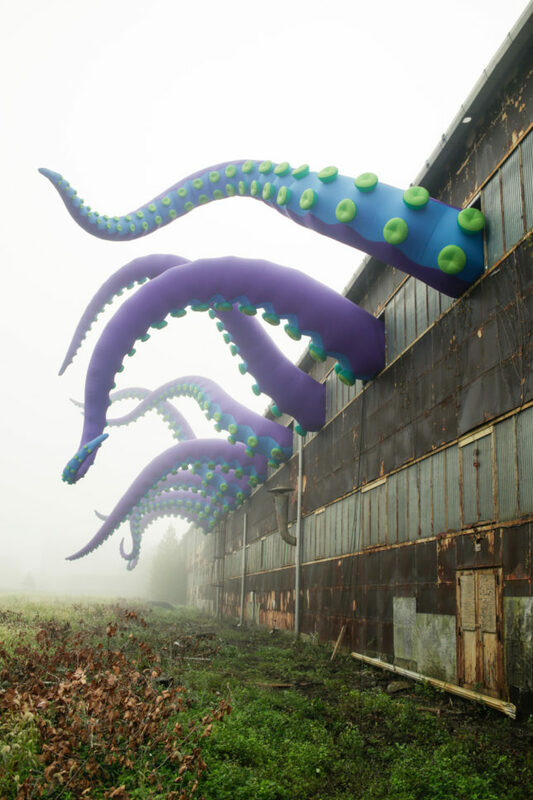 This is not the team’s first giant inflatable either: they have also made huge floating octopus sculptures and other creatures, though this one seems particularly well-suited to the Halloween season (via Colossal).